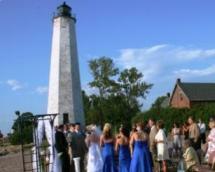 You can get married on the beach near the lighthouse, then have your reception inside the carousel building. Lighthouse Point Park weddings can take place near the lighthouse for which Lighthouse Point Park is named, on the beach, or in the carousel building. Can you imaging saying your "I Dos" while riding a merry-go-round? 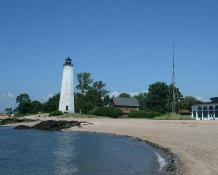 Connecticut's state and municipal parks are easily accessible and visitor-friendly. Many of them are free or just charge a small amount for parking. At Lighthouse Point Park, the carousel is also available for your wedding reception at lower cost than a commercial wedding venue.